There's fabulous value in this superbly located ''A'' style end unit perched a few steps above street level w/ parking to the side - no headlight glare here! Fresh as a spring breeze, this immaculate home features A/C, granite countertops & new stainless appliances, a 1st floor bdrm & a generously sized 2nd floor bdrm with en-suite bath and walk-in closet. Baths have tiled floors & tub surrounds, w/ new vanities & granite tops. A 2nd floor loft is perfect for over-flow guests. The comfy LR has a wood-burning FP, sliders to the private patio w/ views of the woods beyond - lots of bird watching possibilities! Wait - there's more! With a few exceptions (see documents), the quality furnishings can be included in the price of this beautifully feathered nest! Management at CJM indicates that gas is behind this unit and unit could be connected for installation of gas heat after moratorium is lifted (which should be this year. ) Off the patio, there's a large outdoor shed for bikes and beach gear. 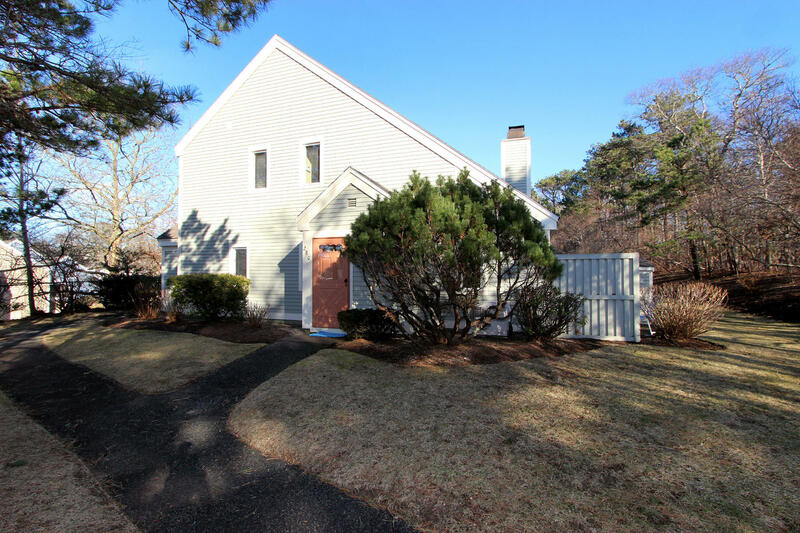 You are just a whistle stop away from the Fletcher Pool and Tennis area (members only), and you can also easily access the Cape Cod Rail Trail from within the complex. Ocean Edge is one of New England's premier summer resorts with Cape Cod's only Nicklaus Design golf course. The 18-hole, Troon PrivÃÂ© course offers tree-lined fairways, rolling topography and dramatic elevation changes for players of all levels. Contact Ocean Edge for Beach, Golf and Pool membership information. Furniture Exclusion List can be found under Documents. Disclosure: Broker Does Not Guarantee Accuracy of Square Footage, Lot Size or Other Information Concerning The Condition or Features of The Property Provided By The Seller or Obtained From Public Records or Other Sources. Directions to Property: Route 6A to Villages at Ocean Edge entrance, follow to Fletcher Drive on Left, continue to Howland Village entrance, #280 sign & parking just past the mailboxes on right.